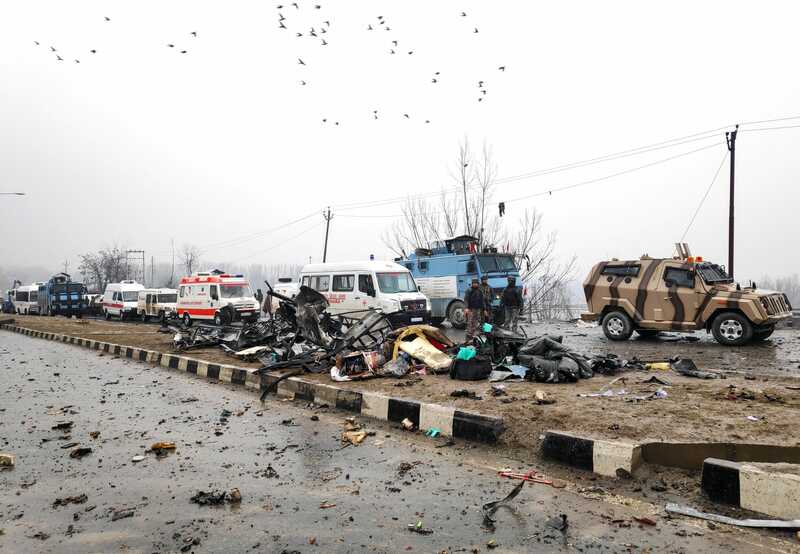 SRINAGAR (Reuters) – Indian forces have detained 23 men suspected of links to the Pakistan-based militant group that masterminded the bombing of an Indian security convoy that killed 44 paramilitary police, a top police official said on Sunday. 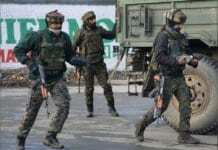 The 23 men included members and sympathizers of Jaish-e-Mohammad, the militant group which has claimed responsibility for Thursday’s attack, the deadliest on Indian security forces in decades. The attack has fueled tensions between India and Pakistan. India has demanded Pakistan close down the Jaish and other Islamist militant groups that operate from its soil, while Islamabad has rejected suggestions it was linked to the attack. Kashmir, a Muslim-majority region at the heart of decades of hostility, is claimed in its entirety by India and Pakistan, but is ruled in part by both south Asian countries. Representatives of India’s National Investigating Agency (NIA) questioned the suspects about the bombing on Sunday, two security officials said. “They are trying to reach out to the top commanders of Jaish-e-Mohammad, including its Kashmir Chief,” one of the sources said. Mohammed Umair, the commander of the Jaish in Kashmir who is believed to have plotted the attack, is suspected to be hiding in the region where the attacks took place, the officials said. 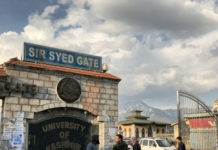 The officials say Umair had “radicalized and motivated” the Kashmiri school dropout who rammed a car laden with explosives into the convoy on Thursday. Umair is thought to have entered Indian Kashmir from Pakistan in September to head the Jaish in the region. Security forces suspect he is in hiding in southern Kashmir, according to the officials, who could not be named as a matter of policy. Indian officials say Umair is a nephew of the chief of the Jaish, Masood Azhar, who is believed to be in Pakistan. Indian Prime Minister Narendra Modi has promised a strong response to the attack and says he has given the military a free hand to tackle cross-border militancy. The Jaish, considered to be one of the most lethal militant groups, has expanded its presence in Kashmir, the police officer said. India has raided the houses of suspected militants across South Kashmir to find information on those who masterminded and executed the attack. Muzaffar Ahmad Malik, whose brother declared himself a militant a year ago, told Reuters that his house was raided on Saturday by Indian troops. “They were looking for militants, as they said that they had information about militants hiding in the house,” Malik said. 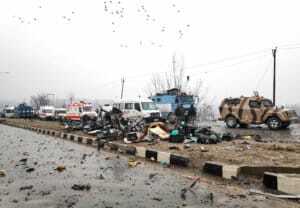 Investigators are now trying to figure out how a large quantity of explosives used in the attack was smuggled into Kashmir, the officials said. A spokesman for the ministry of home affairs declined to comment.